Twitter user APISAK, a prolific leaker and data miner, has leaked an alleged codename for a Ryzen 3000 series engineering sample. According to speculation, this CPU will have 12 cores and a TDP of 105 watts, meaning the previously rumored 12 core 3700X could be real. Ever since tech analyst AdoredTV leaked what he believed to be an accurate spec sheet of the upcoming Ryzen 3000 CPUs from AMD, hardware enthusiasts have been constantly speculating on whether or not it's too good to be true. Many figures in the tech press such as Tim Schiesser from Hardware Unboxed and Techspot firmly doubted the veracity of such leaks, saying the specifications were too optimistic and sources close to Schiesser said that AMD was not planning on launching the 3000 series at CES. Jim Parker, the owner of the AdoredTV YouTube channel, later clarified he wasn't sure what exactly was going to be announced at CES, just that Ryzen would be a major subject. Parker might actually be correct despite objections from journalists, as an engineering codename for a Ryzen 3000 series sample has apparently been leaked by a prolific data miner known as APISAK, who has leaked several product names and SKUs in the past, such as some RTX equipped laptops. According to speculation based on the "1D1212BGMCWH2" sample, the CPU has 12 cores, 64 MB of L3 cache, a TDP of 105 watts, and uses two CPU chiplets, since each chiplet is rumored to have 32 MB of L3 cache. This CPU seems to be the very same Ryzen 7 3700X Parker predicted last month, matching claimed specs almost exactly, although the "121" portion of the codename has some confused since it implies the CPU has a base clock of 1.21 GHz. Some speculate it may just be a very low power saving clock speed. In addition, earlier today VideoCardz (a website known for leaking GPU info) claimed one of its sources denied the existence of any Ryzen 3000 CPUs with more than 8 cores. 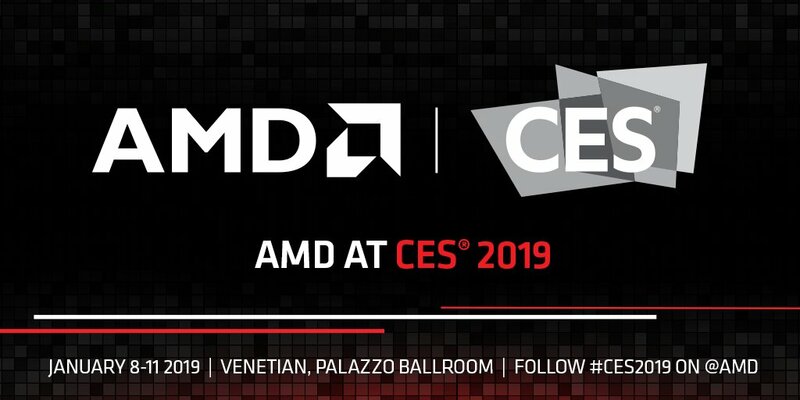 Whatever the case may be, there will certainly be a lot of excitement for AMD's presentation at CES.